The weather in Ireland is changeable to say the least – just two weeks ago we were breaking out the sunnies and BBQs and a day later the rain jackets and scarves! You just never know what the Irish weather will throw at you which is why unfortunately lots of couples have to add brollies to their wedding shopping list. 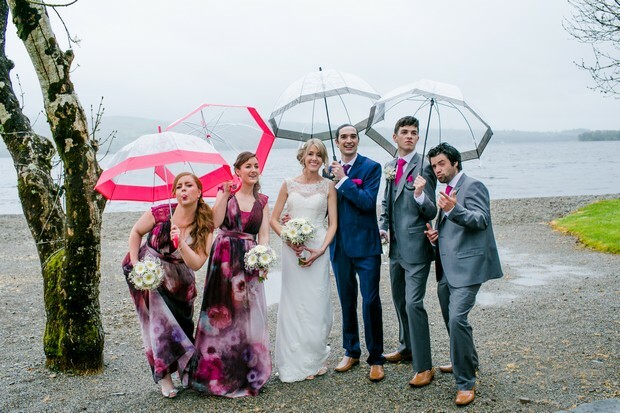 Regardless of whether you’re planning a spring, summer, autumn or winter wedding, chances are you’ll be glued to Met Éireann to the wire, wondering what the day will throw at you and might just need the wedding umbrellas on standby. But worry not, there are some seriously stylish options out there so you can be guaranteed you and the gang will still look fabulous and most importantly stay dry. 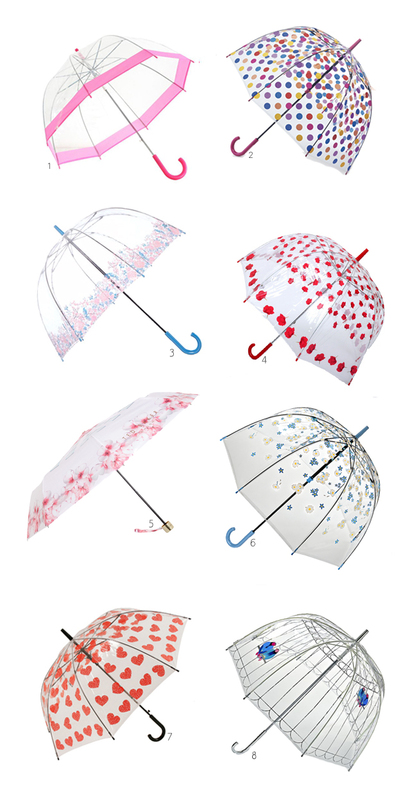 If you’re looking for colourful, fun brollies to keep you and the girls covered, look no further than the likes of Penneys and Dunnes. Stores likes House of Fraser, Arnotts and Debenhams also have a great range of umbrellas but will be on the pricier side. PS. 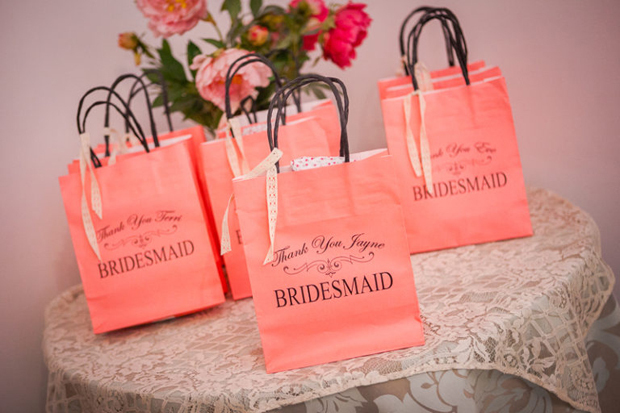 Worried about a shower ruining your wedding day fun? 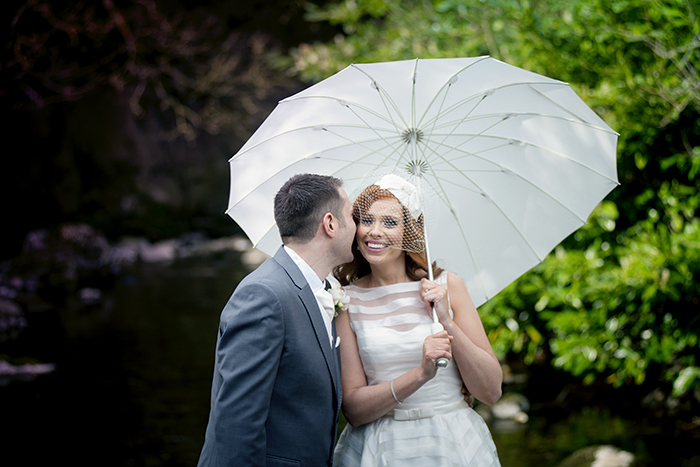 Just take a peek at Sarah & Vinnie’s real wedding (photo below) where they got some super cute snaps with their umbrellas!